This timeless collection originates from antique French jewelry molds found in centuries old Parisian workshops. A continuation of history, this elegant pair of sparkling French drop earrings will add just the right amount of casual elegance to every day, and special evening occasions. 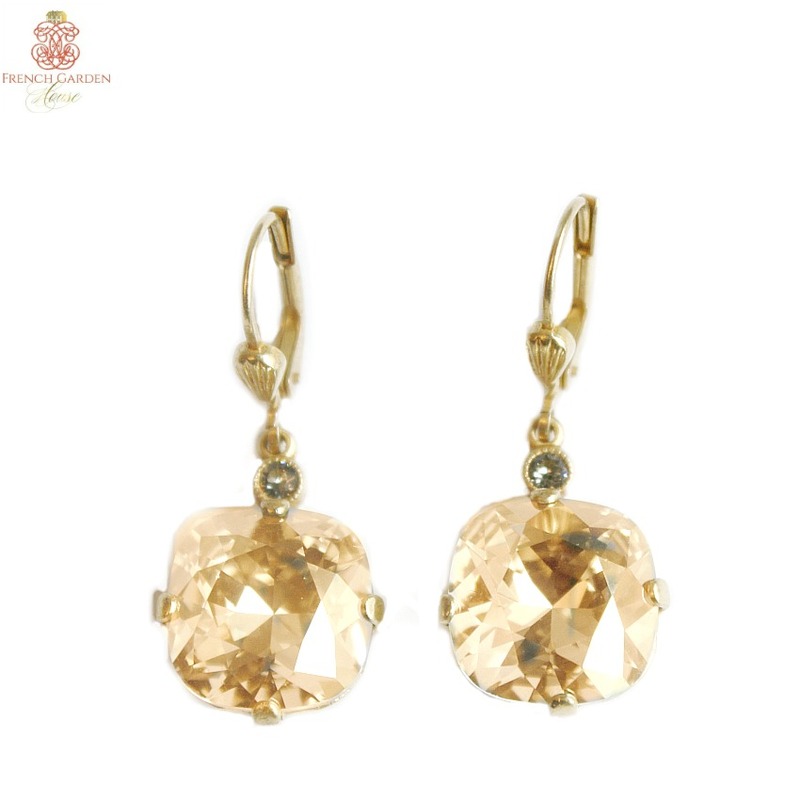 Designed with soft champagne Swarovski crystals that reflect your beauty and glow. Made of signature 14 k Gold layered over Copper.